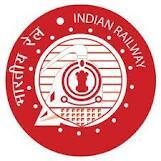 RRB – Railway Recruitment Boards released Centralised Employment Notification No.:3/2012. It invites online / offline applications from eligible candidates for Common Preliminary Examination for the recruitment of posts in Non Technical Popular Category (Graduate), Assistant Station Master and Traffic Assistant. How to Apply: interested candidates may download the application format from the link given below and send applications complete in all respects to the respective Railway Recruitment Boards addresses given in the centralised employment notice no 3/2012 so as to reach latest by 11th June, 2012.